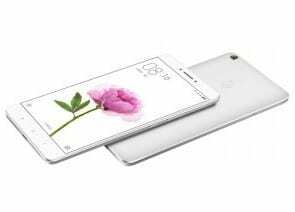 Xiaomi Mi Max is an android smartphone that was launched in 2016, May. The phone comes with Hybrid Dual-Sim mechanism. If you are in search of Xiaomi Mi Max drivers, then here you will find all the drivers for your device. Regarding the display, It has 6.44 large display with a resolution of 1080×1920 pixels covered by corning gorilla glass 4 technology. The type of display is IPS LCD capacitive touchscreen. The version of software installed on the phone is Android 6.0 (Marshmallow), upgradable to 7.0 (Nougat). As far as the camera is concerned, the phone include 16MP Primary camera with dual-LED flash including features and 5MP secondary camera. Regarding the storage, it include two varients 16 GB with 2 GB RAM or 32/64 GB with 3GB RAM for 3G Model and 128 GB with 4 GB RAM for prime model. The phone is powered by hexa-core Snapdragon 650 Processor to increase the performance of the phone. It is packed with Li-Ion 4850 mAh battery. The connectivity medium include WLAN, Bluetooth, GPS, Infrared port, Radio and USB. The price of Xiaomi Mi Max in Pakistan is 24,000.